These gorgeous cut out strawberry heart cupcakes with vanilla frosting are from Shauna at Ella and Annie Magazine. They are a perfectly pink treat for Valentine's Day! 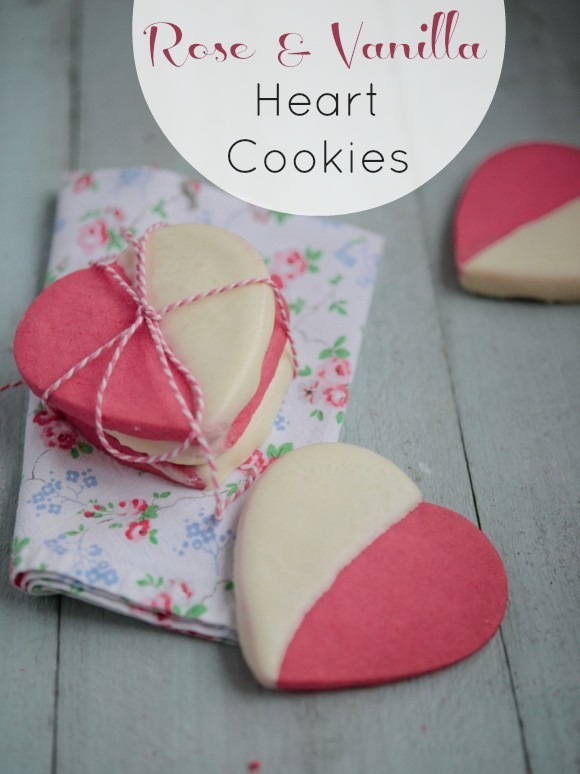 Better yet, they are super EASY to make -- no need to be an expert baker to make a beautiful treat for your love! Talk about total sweetness! Rebecca and Rosie of Honeywell Bakes are here with a lovely rose and vanilla heart cookie recipe. I love that the cookies have actual rose water in them and that they're dipped in white chocolate! How gorgeous would these look at a baby shower, bridal shower, or girl birthday! Gretchen from Three Little Monkeys Studios took our original whoopie pie recipe and made it her own for Valentine's Day by adding cherries to the mix. How beautiful do these look?! My good friend, Lynlee, from Lynlee's Petite Cakes, makes some of the most incredible fondant creations out there. 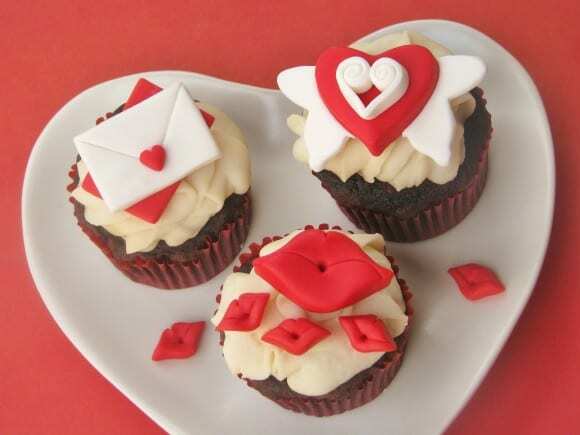 Lucky for us, she's sharing some of her secrets by teaching us how to make these incredible Valentine's Day cupcake toppers. For those of you who are a little intimidated by fondant (and I have to admit I fall into that camp), this is the tutorial for you (and me). 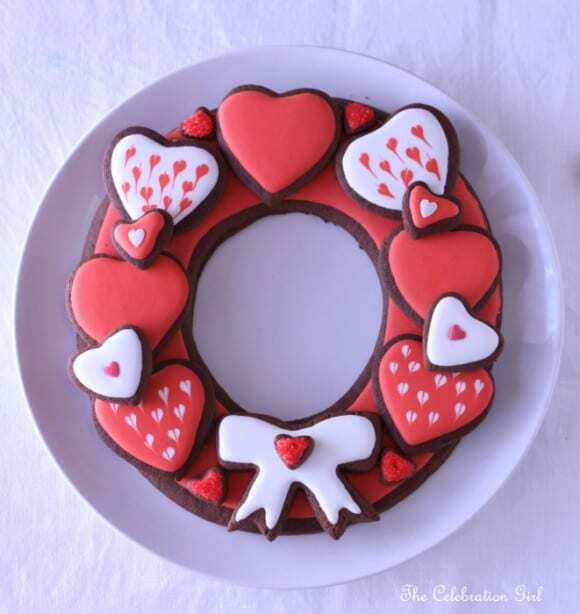 I saw this original Christmas cookie wreath Marcela M from The Celebration Girl created, and of course I thought it was the coolest thing. Melissa from The Joys of Home Educating made these fantastic crayon hearts to give to her kids' friends for Valentine's Day. I think this is a terrific idea and my silicone heart molds are on their way right now from Amazon so I can make some for my daughter and her friends. The best part is they are simple to do. 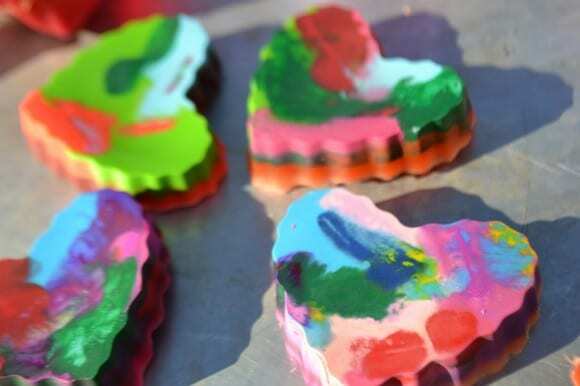 Put your broken crayon pieces in silcone cupcake trays and place in the oven at 250 degrees for about 15 minutes. That's it! 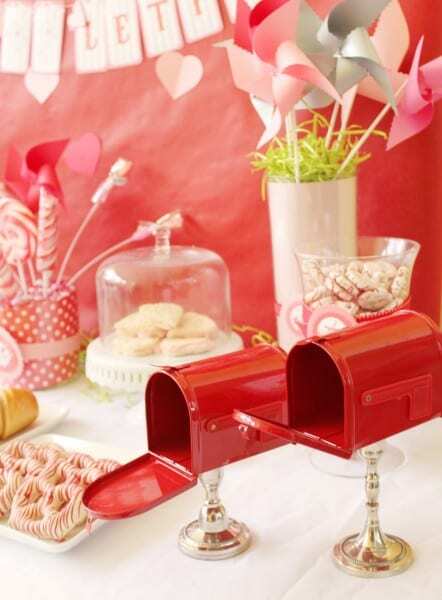 Still looking for ideas for your Valentine's Day party, or just want to see what amazing parties, inspiration tables, and printables people have done? Well, take a look at these amazing parties from our main site.